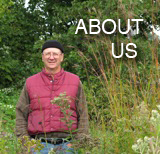 John Kohler helps all of us garden. Let’s encourage his free video service! Posted in NEWS and law, PHOTOS to inspire. Tags: gardening, Growing Your Greens, John Kohler, urban homestead, urban homesteading, video, You Tube. Comments Off on John Kohler helps all of us garden. Let’s encourage his free video service!